The real estate market is growing in Galápagos Islands and you can take advantage of this unique opportunity to move here and start your new adventure! 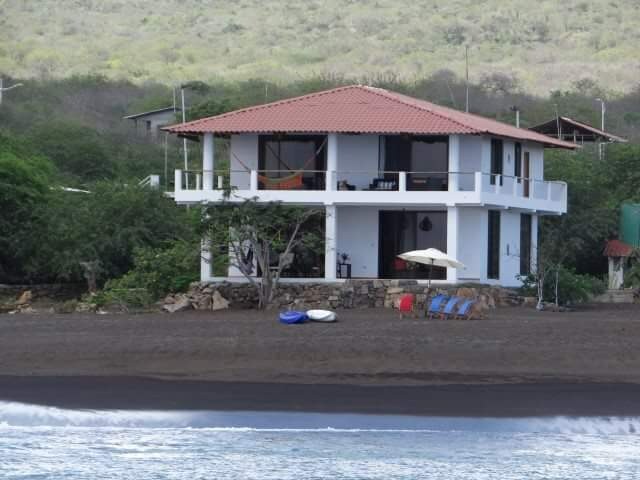 Dream house for sale in Floreana Island, Galapagos! Spectacular house for sale in the most exotic and transcendent island in books and documentaries of history and fiction about the Baroness and the secrets of the Wittmer family, "The Galapagos Affaire", 1930. FLOREANA has remained pure, naturally wild and full of wildlife of the volcanic island. Located in Playa Negra, next to the seawolfs and places for snorkling. Surrounded by all the existing magic in the enchanted islands with its natural life, fresh water and closeness to other islands that everyday for the rest of your life will amaze you. The House has 590 sq mt of land and 300 sq mt of living area. It features 6 bedrooms 7 bathrooms, facing the sea with a view of the entire house, sewage system and drinking water. It's a Spanish Style, perfectly combined with its surroundings and volcanic stones, turkish marble floor, and wood. Come visit today! !